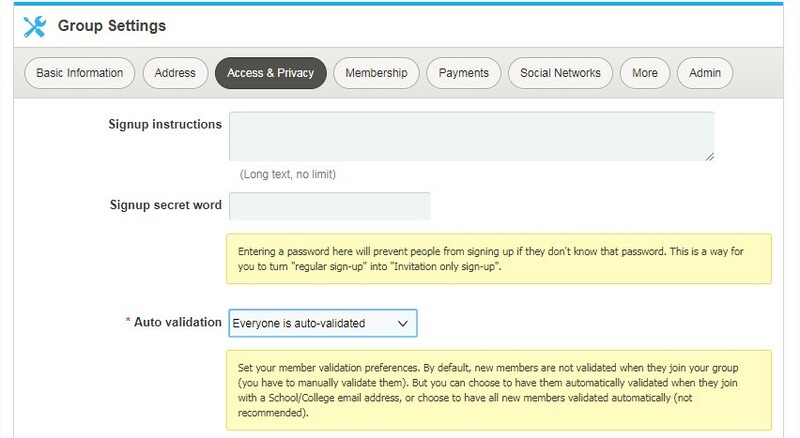 By default, people who register for a group need to be validated manually by group officers to be considered as a member. Mouse over the "Dashboard" menu and click on "Settings". Click on the "Access & Privacy" tab. Select the appropriate option under the "Auto Validation" dropdown.